We know that it is not easy to shop for middle schoolers. These tween boys and girls are not small kids anymore but they aren’t old enough to be in their teens. So, what stocking stuffers should you get to fill their stockings for Christmas 2018? 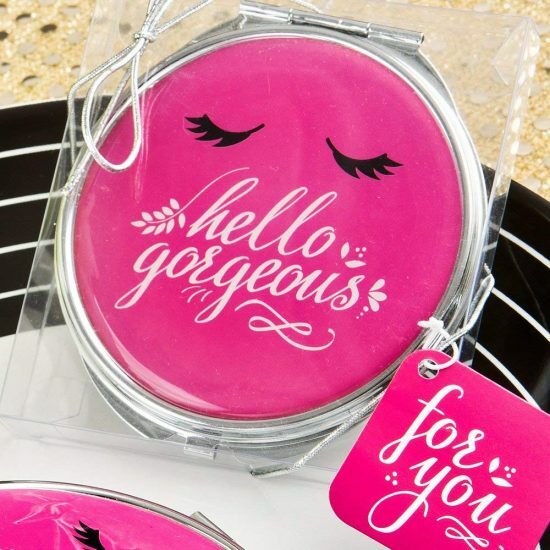 Well, check out these unique stocking stuffer ideas for tween girls below. 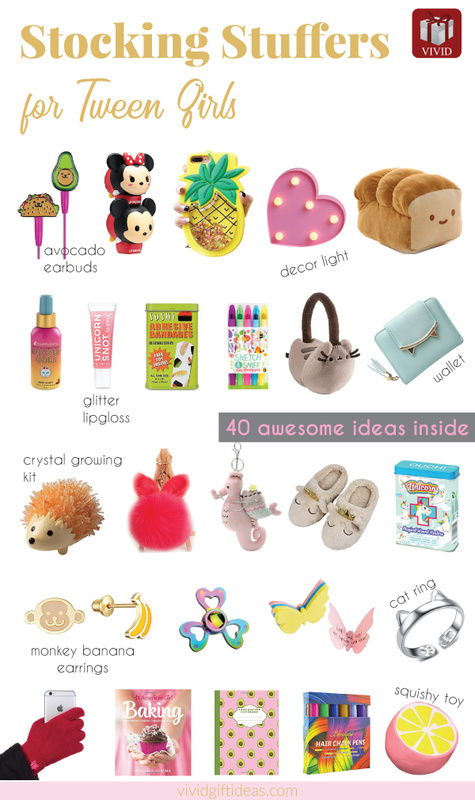 You’ll find a list of 40 creative small gifts to impress the pre-teens in your life. From fashion pieces, school supplies, tech gadgets, cool toys and more. You are going to make the tween girl smile for sure. 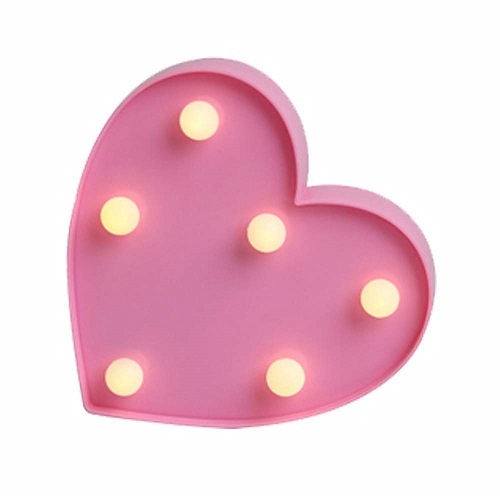 A darling pink heart for her room. It creates a warm and cozy ambiance. For the middle schoolers who love avocado. 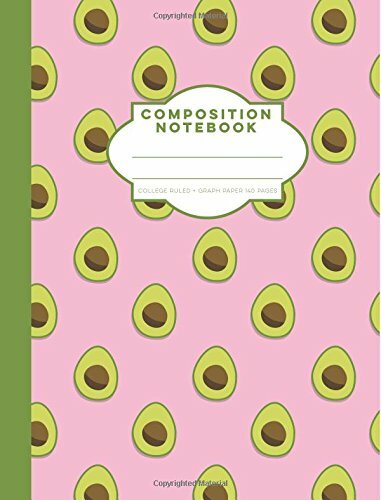 This composition book is perfect for note-taking, writing homework, and more. 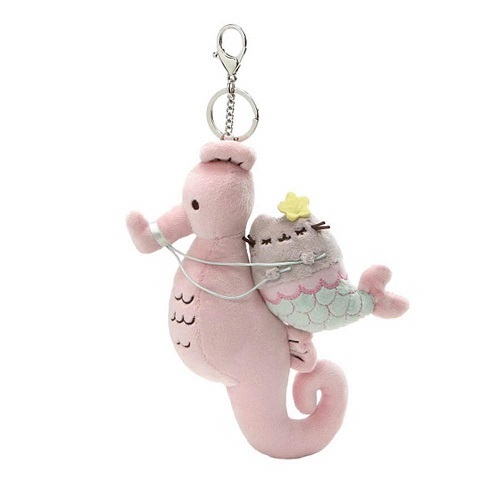 Who can resist a plushy keychain of a meowmaid riding a seahorse? 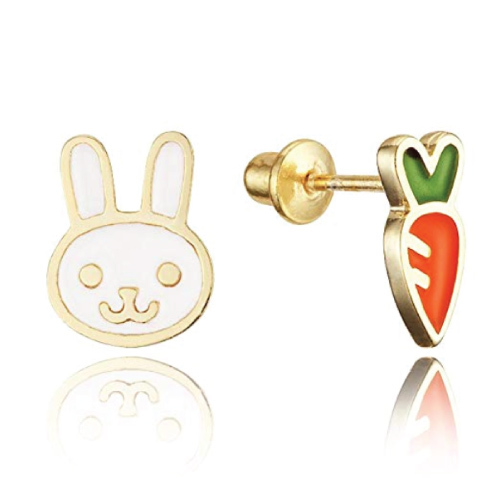 These earrings are too cute. You might end up getting more than one pair for her. For her to enjoy music in a “yummy” way. 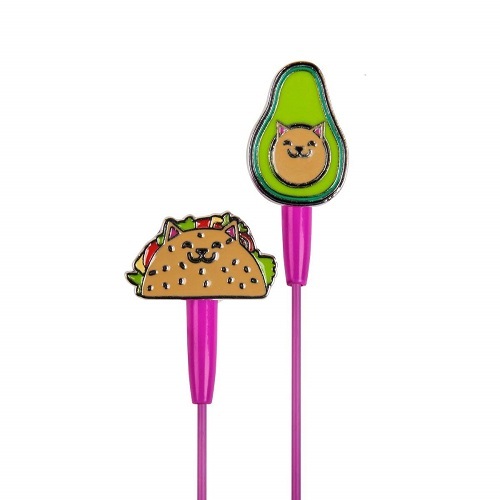 Features a funny cat avocado and taco earbuds, with a bright pink cord. Give her smile an extra sparkle. Use this holographic pink lip gloss alone for a high-gloss shine or pair it with your favorite lipstick to glitz things up. 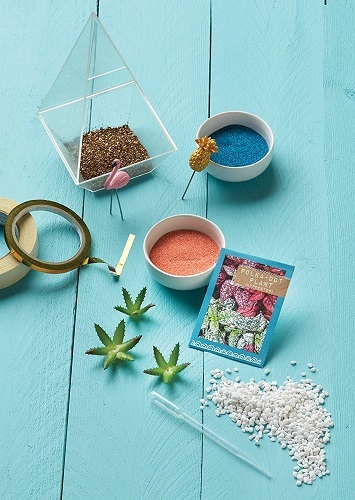 DIY gardening kit great for the middle schoolers. Learn trendy craft technique, grow your own tropical paradise in this geometric planting dish. You can build your own unique tropical environment by layering the colored sands and stones. Then, arrange and plant your seeds. After that, you can place the flamingo and golden pineapple in the terrarium to complete the tropical setting. Let’s witness the goodness of sushi to another level. 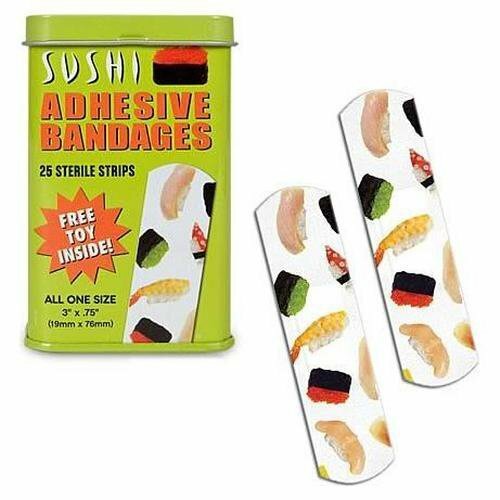 Stick them on your blister or small cut to stop the ouchies from bothering you. School supplies are cheap and practical. Help them to stock up. The design is outrageous. Need I say more? You don’t want to miss this adorable keychain with a glittery heart-shaped charm and fluffy poms. 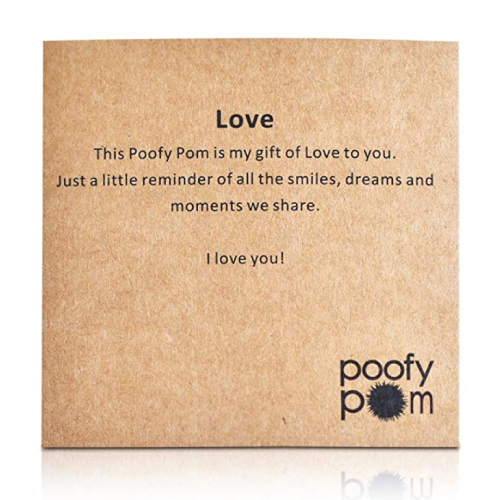 It comes with a love message card! 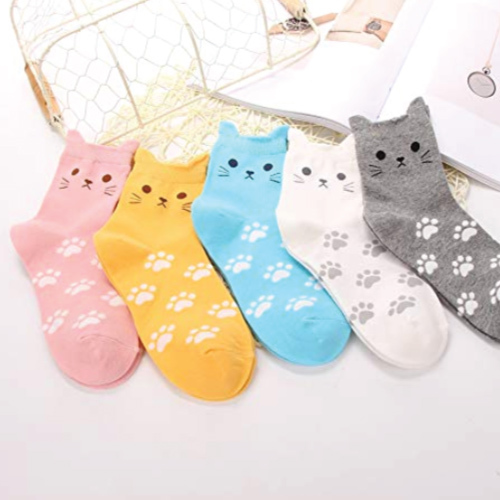 You might think socks are lame but a set of five cat socks in different colors? You might think otherwise. Whether you are a cat lover or not, these kitties are going to win your heart. 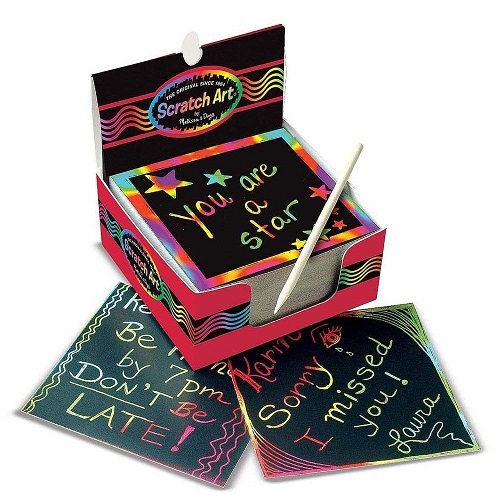 Etch words of encouragement with one of these cool scratch notes. That’s right! This is no ordinary notepad, you will have to make use of the wooden stylus that comes with the product to etch out what you want — which can be important notes, wise sayings, or even some doodles. If you’re looking for an edgy gift, here’s an etchy gift. Brightly-colored lemon, both on the inside and out. A treat for the eyes and hands. Not your ordinary lemon. Its realistic skin is pink instead of yellow. Inside is bright, almost-neon-like, yellow. 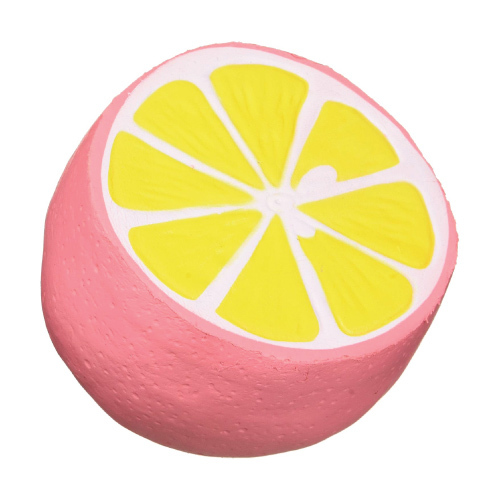 Perhaps this is what pink lemonade is made of. Jokes aside, this is a cute soft toy meant to be squeezed for fun and relaxation. 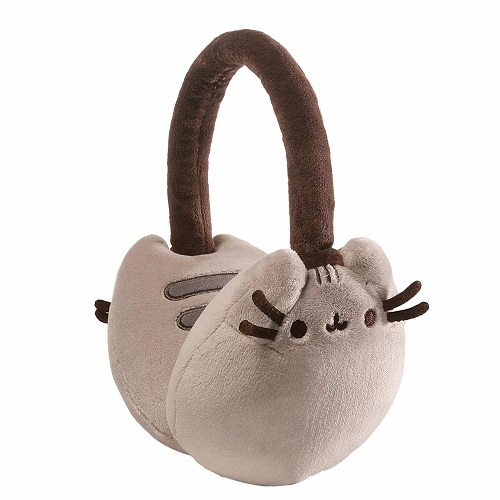 The purr-fect earmuffs to keep you warm and cute this winter. Featuring the first Facebook sticker super star (I think) — Pusheen. 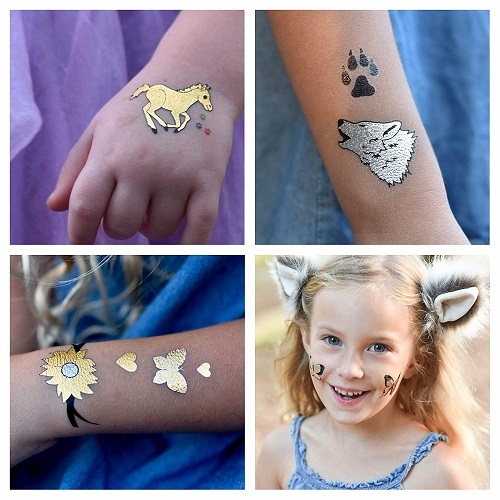 Have fun playing with these metallic tattoos. More than 100 super fun designs loved by kids. 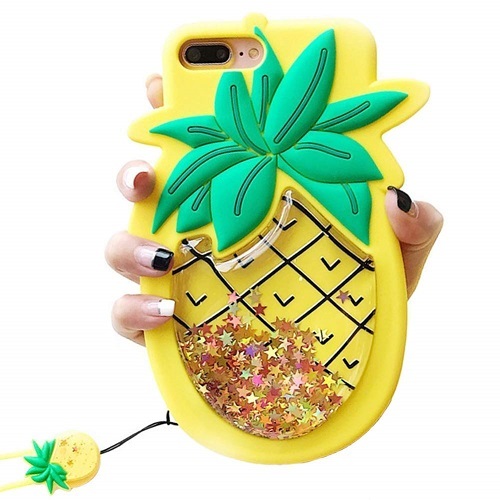 It will keep its flash and glitter up to seven days. A creative product that is cute, entertaining, and educational. 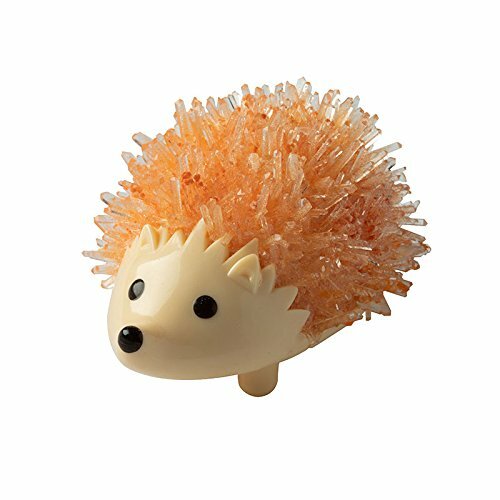 This adorable hedgehog is part of a crystal-growing kit. By following the instructions provided in the kit, you can grow orange gypsum crystal on the back of the little creature. What is this magic? Well, that’s for the middle-schooler to find out. 2-in-1 present. 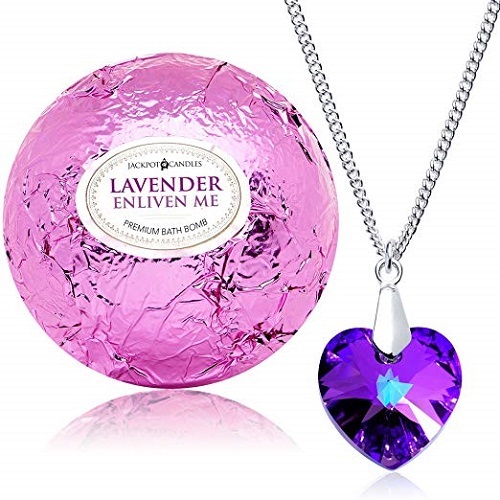 An extra large 10-ounce bath bomb packed with a surprise necklace inside. Drop it in the water, enjoy the never-ending fizzing bubbles and see the Swarovski crystal pops up when it’s done. Sticky notes are boring. 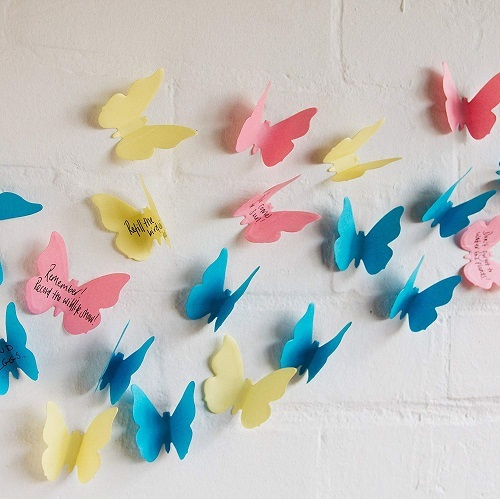 Sticky notes that look like butterflies? Awesome! 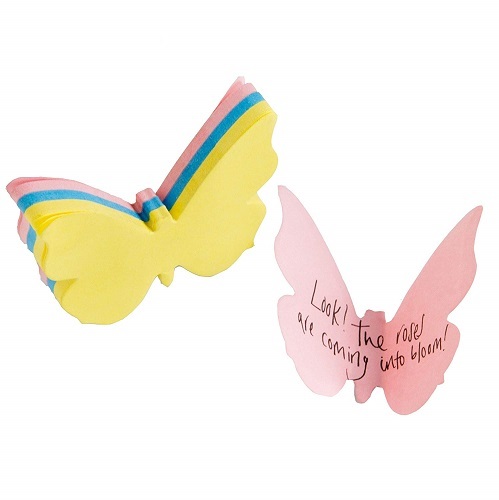 What’s better is that a single stack of these sticky notes come with three different colors: pink, blue, and yellow — you’re literally decorating the surface that you’re sticking the notes on with a kaleidoscope of butterflies! We love it because it is a loaf of soft bread. Mickey and Minnie are coming to celebrate the holidays with your tween girl. 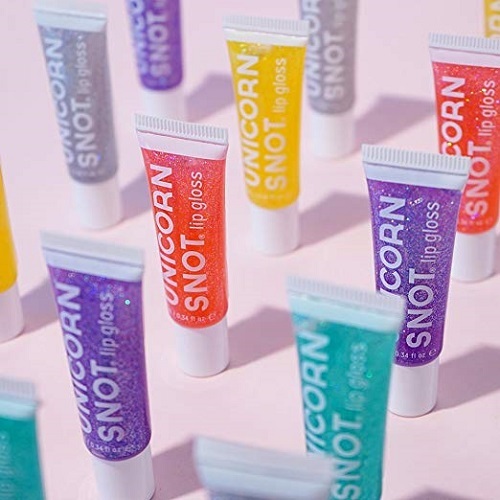 They are two stackable lip balms with character-inspired flavors. 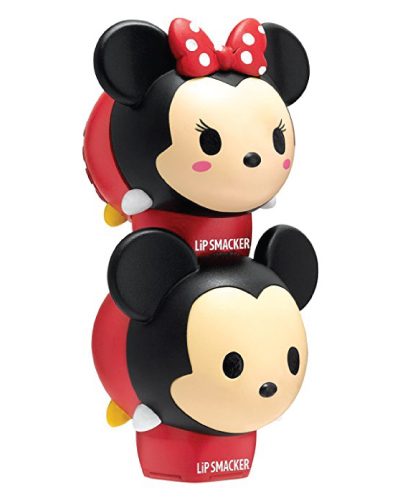 Marshmallow flavor on Mickey and Strawberry lollipop flavor on Minnie. They smell great and feel smooth on the lips. She will also love this fluffy bunny keychain. Soft pom pom with metal clip. Perfect for organizing keys or accessorize your bag. A foldable book bag with a pretty design and nice sayings. 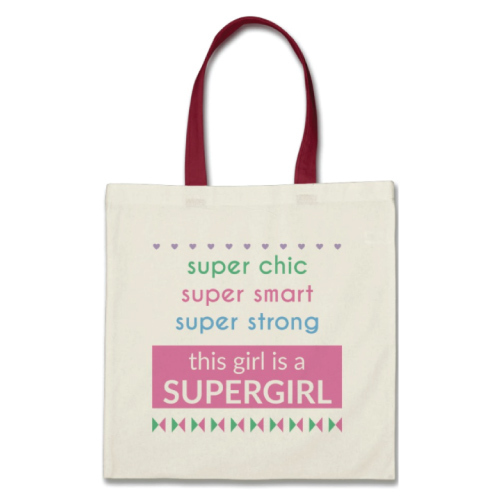 It reads “Super chic, super smart, super strong. This girl is a Super Girl”. Girls at her age love experimenting with a different hairstyle. 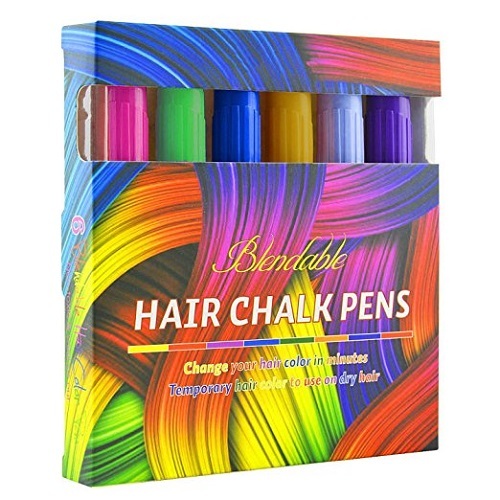 She would be thrilled to get this set of blendable hair coloring chalk. Non-toxic, no mess application, easy to wash out with ordinary shampoo. Six vibrant colors to transform her hair into an exciting new style. Leave only magical trail in the toilet. Attack the bad odor with the natural essential oils. 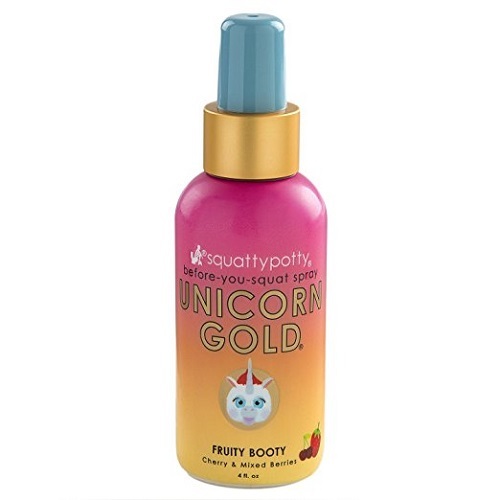 Whenever and wherever the nature calls, spritz a puffy cloud of the Unicorn Gold before you squat and make your next brick the best you’ll ever lay. 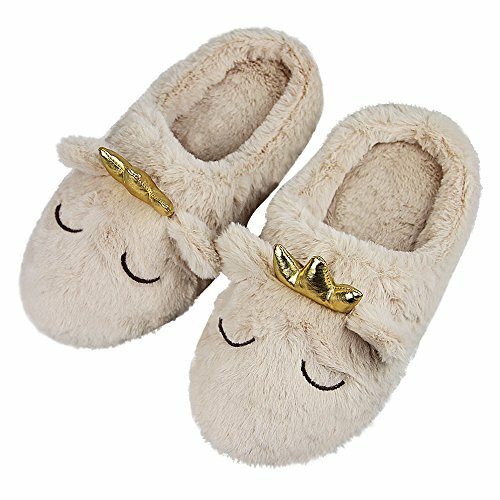 Fuzzy little creatures to keep her feet warm this winter. 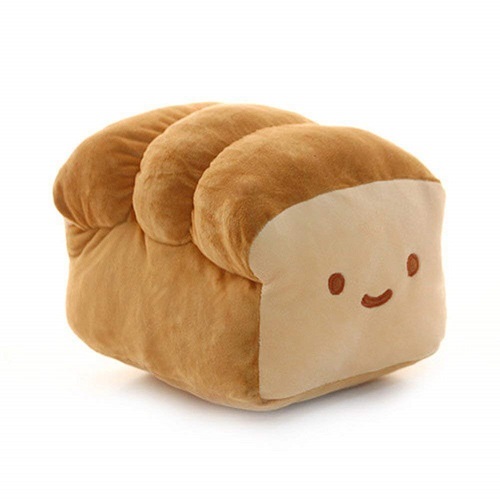 It is extremely soft and plushy. Great for lounging at home. 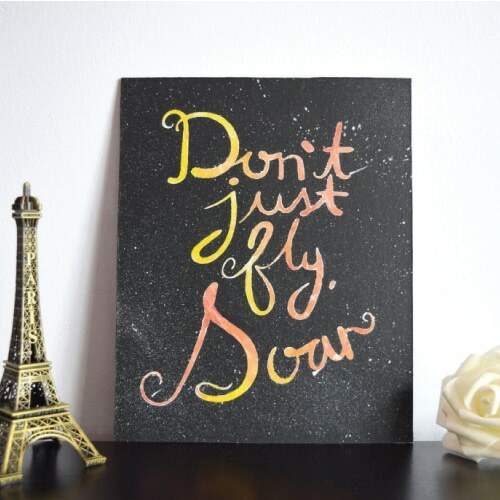 Gorgeous wall art to place in the tween girl’s room. The bright-colored quote is hand-painted against the black galaxy background. It looks unique, beautiful and inspiring. You can also get a fidget spinner. It is a popular toy among the kids. Super easy and fun to play. This simple toy is designed to keep the player’s hands busy, provide a focal point for busy minds, and help to relieve stress. A good book also makes a great stocking stuffer for pre-teens. This book is a must-read for girls growing up in the modern digital age. It is well written with practical tips and advises. 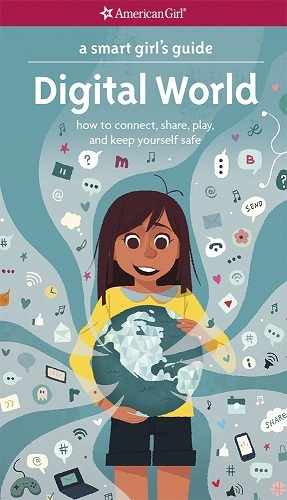 This book guides girls to navigate wisely in the digital world and helps keep them safe from cyberbullying and bad influence. 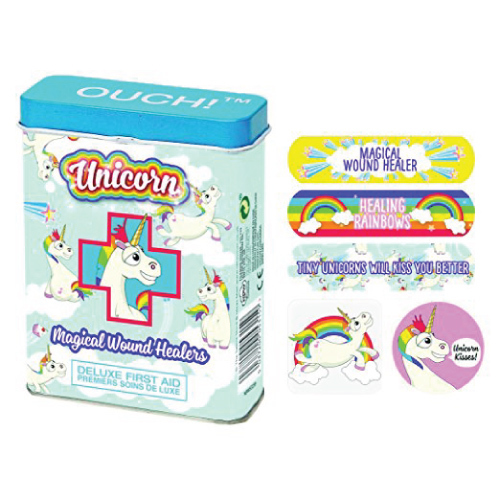 The magical wound healers that every girl needs. It comes in handy when she has a small cut. A tin of 24 bandages in varying designs, shapes and sizes. Colorful and cute. 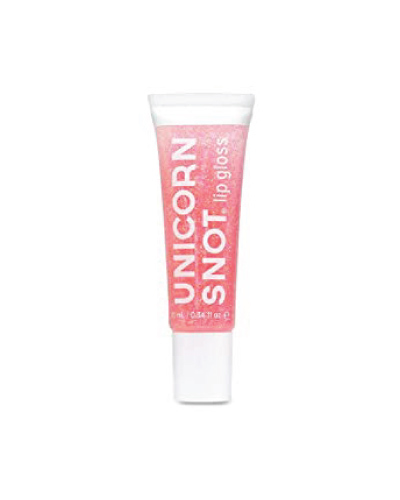 Stick it and let the unicorn kisses make everything better. 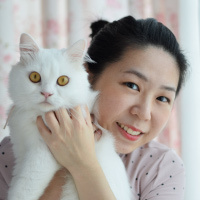 For her with a feline obsession. 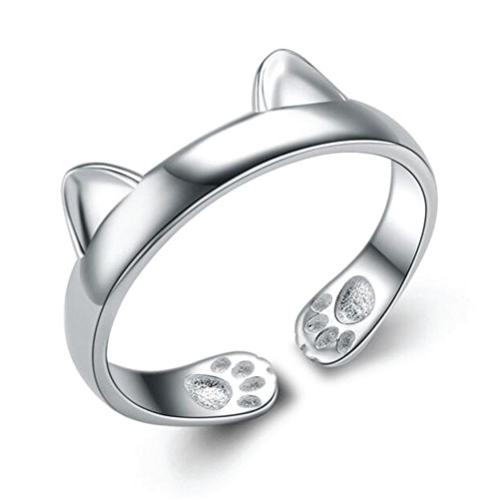 A charming cat-shaped ring made of 925 sterling silver. Its mouth design fits fingers of different sizes. It looks simple, delicate and adorable. A nice mug full of positive energy. Made of ceramic, big capacity. 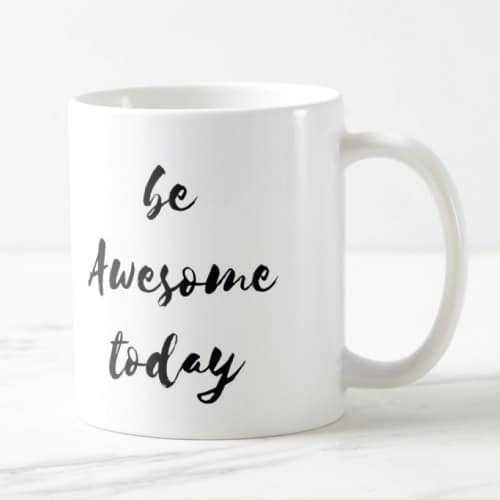 Use it to enjoy your favorite morning beverage and feel motivated for the rest of the day. 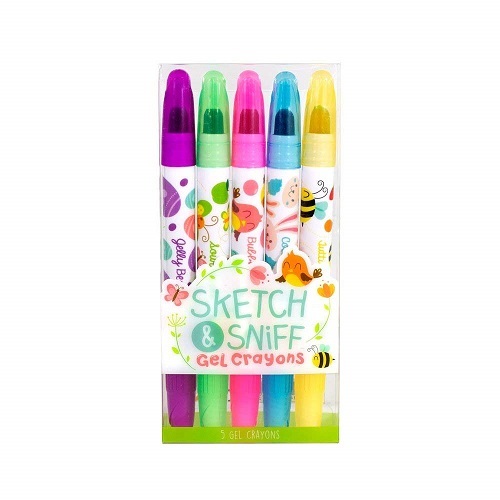 Fun school supplies that she will love. 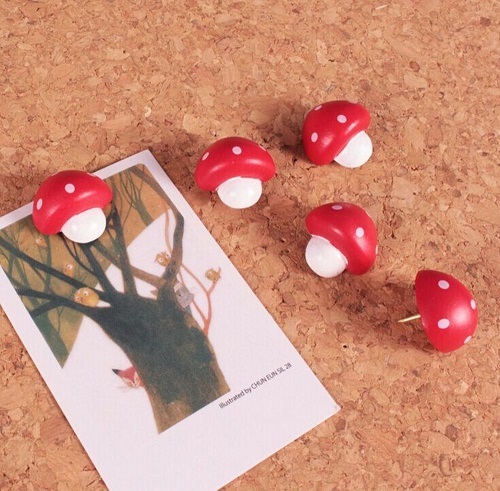 These red mushroom push pins are made of solid wood and an iron nail. They are cute, sturdy and functional. 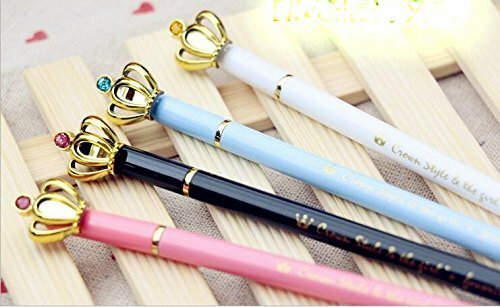 Chic pen loved by girls. Black and white polka dots with gold finish. This pen has a nice weight and it writes smoothly. Comes in a matching polka dotted box. 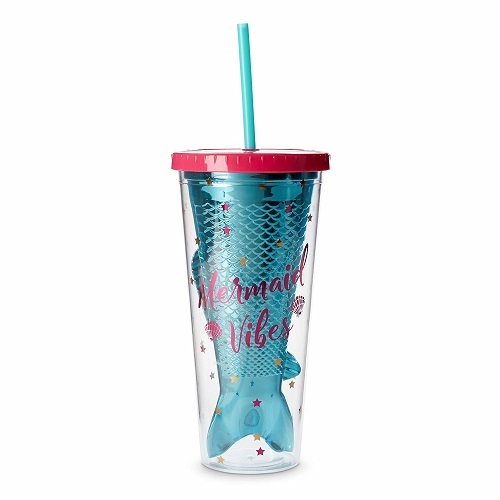 A gorgeous tumbler for tweens who are obsessed with mermaids. It is double walled, non-breakable, and sweat-proof for cold beverages. One of the must-have backpack essentials for middle schoolers. Two glass mirrors with different magnification inside. For her to write in style. Set of eight fabulous pens in different colors. Fine point, slim body, writes beautifully. She will love them for sure! 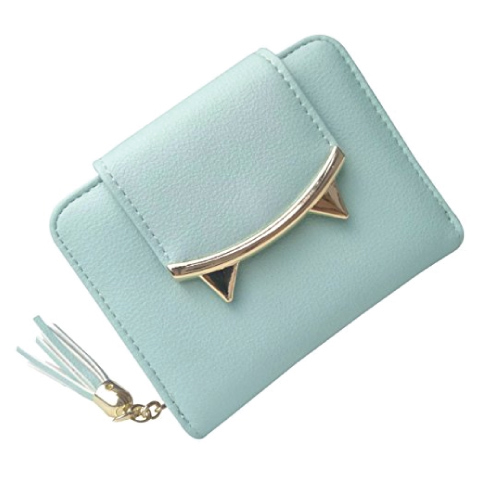 You can also get this lovely wallet for her. Good quality, compact size, pretty pastel color. Features three credit card slots, one change pocket, one full-length pocket for bills, and one photo ID window. 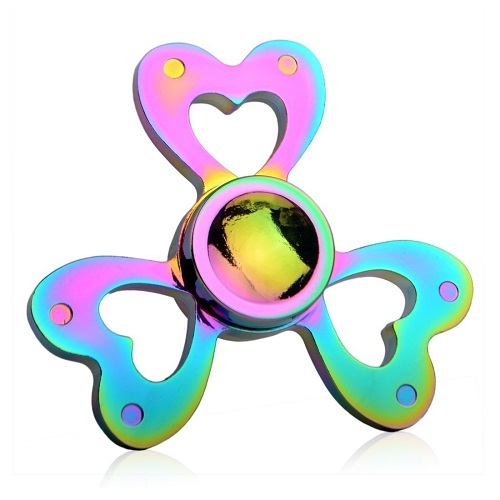 Also available in soft pink, purple, blue and black. 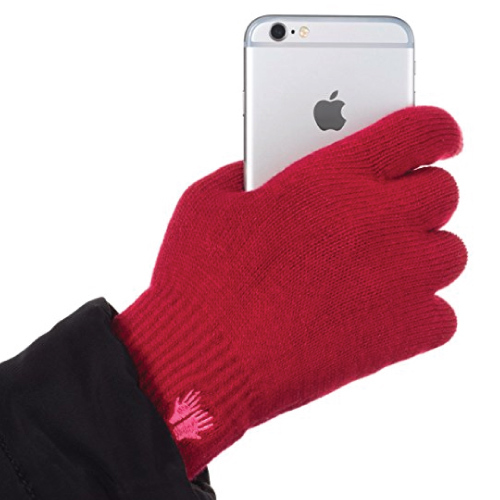 Tech gloves to keep her hands warm this winter. Soft, stretchable and comfortable. It is made with ten-finger touchscreen technology. Works well on a mobile phone, tablet and other touchscreen devices. An excellent cookbook for tweens who are interested in baking. 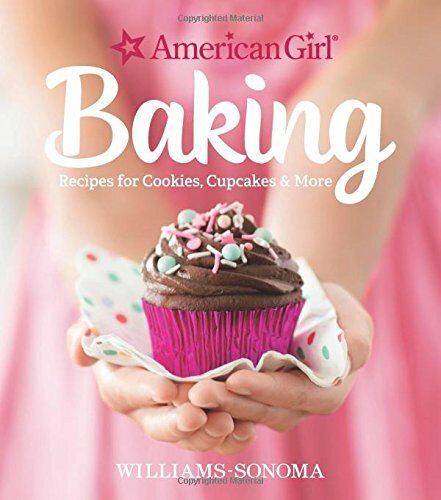 Packed with more than 40 delicious recipes for making cookies, cupcakes, madeleines, fudges, truffles and more. Step-by-step instructions great for beginner bakers. Girls are going to love their handmade sweet treats coming out from the oven. 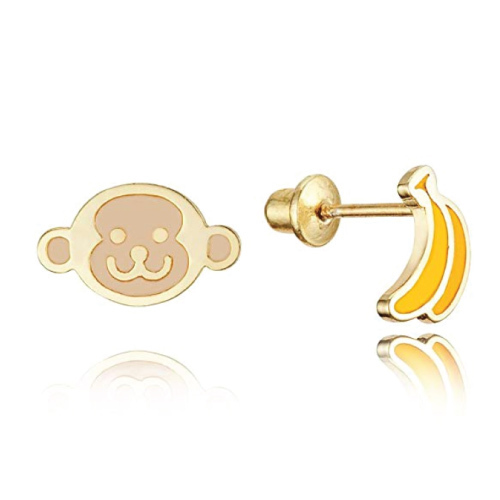 That concludes our holiday gift guide for tween girls. Thanks for reading and have a happy Christmas!